Directions: Hwy 90 West to Galliver Cutoff. Turn right (North) and continue to Country Living Rd and take right. Home will be on the right. Remarks: Real Estate Owned REO property is full of potential. 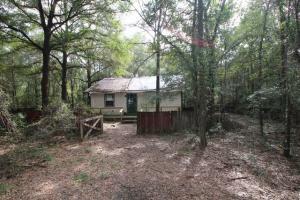 Located on a paved road with frontage on Galliver Cuttoff as well. Built 1994, this 3 bedroom, 1 bath cottage has beautiful tongue and groove ceilings and walls. Home is just over 1000 sf and comes with great room floor plan and 6.6 acres of wooded seclusion. If looking for some acreage, this is your chance. Call to take a look at 1066 Country Living Rd today. 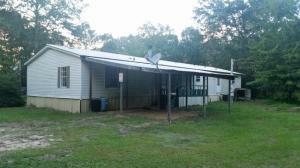 1066 Country Living Road, Baker, FL just listed bank owned directly sent to auction. Remarks: Real Estate Owned REO auction property is full of potential paved road frontage on Galliver cutoff. Built 1994 this 3 bedroom 1 bath cottage has mostly wooden interior including walls and ceilings. Home is just over 1000 sf and comes with great room floor plan and 6.6 acres of wooded seclusion. If looking for some acreage this is your chance. Call to take a look at 1066 Country Living Rd today. Directions: From Crestview, Highway 90 west to Milligan right on Highway 4 just past the ball fields on the left. Turn left on Charlie Day Rd. Property is on the left approx a mile off 4. Remarks: Real Estate Owned REO. 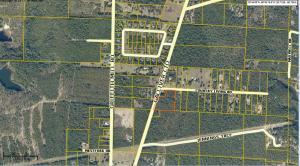 Excellent Home site with slopes Property is near the Ball Fields Community Center and Horse Arena, Walking trail. Electricity and Milligan Water, are available in the area. Paved road frontage this lot includes just under 3 acres. Rare find in the heart of Baker. Would make an excellent estate or development. Charlie Day Rd. Directions: North on HWY 85, Left on HWY 90, Right on HWY 4, Left on Harmony Lane. Home is located on the corner of HWY 4 and Harmony Lane. Remarks: Real Estate Owned REO. Fixer Upper located on Hwy 4 in Baker. Will need some work but is located on large lot. 2 storage sheds located on property as well. Large loft area located above carport- perfect for extra storage. Don’t miss this one. It will not last. Directions: From Crestview: 1. Head west on E James Lee Blvd/US-90 2. Turn right at Hwy 4/SR-4 3.7 mi 3. Turn left at Galliver Cutoff 1.7 mi 4. Turn right at Stanley Ln 0.8 mi 5. Turn right at Griffith Mill Rd. Remarks: REO.This Spectacular approx. 72 acre Estate, with 11,139 Sf Mansion features, a 7 bedroom 8 bath 3 story custom Crafted home, that is fit for a king. Designed in the English Country home style this property has it all. Two gated entrances, elaborate circular drive, separate 2 bedroom guest home and two barns. The main home will require remodeling.The horse barn has 10 stalls, feed and tack room, and office, many beautiful white board fenced paddocks surround the barn area. Trees and lush pastures are abound. The large storage barn has lots of room for all your equipment and toys. Located in the rural town of Baker, Fla. this farm offers amazing value to the investor or horse enthusiast. Priced to sell at $875,000, this property will not last. Call for showing or additional info. Directions: From HWY 90, take Galliver Cutoff North. Property is on the left, south of Charlie Day. Remarks: Short Sale, pre approved. Not far from town in Baker. Nice level lot with over 2 acres included with this lot with mature trees cleared front and back yard areas there is a 3 bed 2 and a half bath mobile home built in 1997. Few miles from I-10.This lot offers privacy. Property being sold as-is. REO.This Spectacular approx. 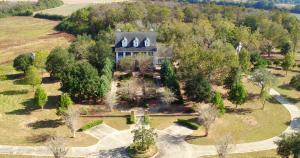 72 acre Estate, with 11,139 Sf Mansion features, a 7 bedroom 8 bath 3 story custom Crafted home, that is fit for a king. Designed in the English Country home style this property has it all. Two gated entrances, elaborate circular drive, separate 2 bedroom guest home and two barns. The main home will require remodeling.The horse barn has 10 stalls, feed and tack room, and office, many beautiful white board fenced paddocks surround the barn area. Trees and lush pastures are abound. The large storage barn has lots of room for all your equipment and toys. Located in the rural town of Baker, Fla. this farm offers amazing value to the investor or horse enthusiast. Priced to sell at $1 Million, this property will not last. Call for showing or additional info. Directions: From I-1O exit head North on HWY 85, turn left on US90 W, turn right or North on FL-4, turn left to stay on FL-4 at light in Baker before 189 Continue 9 miles to Old Martin Rd, turn left. 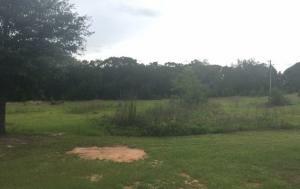 Property is 1.4 miles down on the left at corner of Old Martin Rd/Charlie Foster Rd. Remarks: REO large country home on scenic route property is 10 acres cleared, high/dry land in West Baker, directly across the street from Blackwater River State Forest Wildlife Management Area. Blackwater’s outstanding forest and water resources offer excellent opportunities for fishing, wildlife viewing, hiking, biking, camping, swimming, horseback riding, and paddling. The home is sturdy wood siding construction with durable tin roof. Large wrap-around porch with covered breezeway connects to over-sized detached garage. Garage overhead storage shelves already in place. Charming French-doors in the front, side and rear of home leads out to the covered porch. Vinyl flooring. Custom Kitchen with recessed lighting and stainless appliances. Oversized bedrooms and ample closet space.